Availle mostly records books, but every now and then, something else pops up. For example, she has recorded names of streets in Germany to be made into a synthetic voice for a navigation system. She also recorded telephone menus - hopefully they turned out not too annoying... Availle would do (almost) anything to support science and help spreading the word of reason. Thus, among her favourite projects are narrations for scientific videos. Three of them can be found below. We motivate, visualize and demonstrate recent work for minimizing the total execution time of a coordinated, parallel motion plan for a swarm of N robots in the absence of obstacles. Under relatively mild assumptions on the separability of robots, the algorithm achieves constant stretch. Zika is a disease transmitted by mosquitos. In an attempt to eradicate zika, it is necessary to kill enough (infected) mosquitos. This is an approach using a drone with attached electrical grid that flies on a given path through mosquite swarms. The video below deals with the problem of computing an efficient path with as few turns as possible. The application sounds highly contrived - but that’s really how it’s done! This video shows how swarms of inexpensive robots can be employed to efficiently explore an unknown area. Two different algorithms are explained and analysed; the first algorithm uses an infinite robot supply (clearly a theoretical setting). The second algorithm explains a heuristic for the more realistic case of a limited amount of robots exploring the area. All that theory is topped off with scenes of little, cute, and real robots executing the second algorithm. In this video, IRMA the robot is tasked to move around and scan its environment to produce three dimensional images. Since the scanning process is very time consuming, the goal is to find a minimal number of scan positions that, when taken together, provide a full view of the environment. For this, an intricate linear programming approach, that switches between the primal and dual problems, is presented. Most of Availle's recordings are in the public domain and thus can be used freely and for all purposes - no extra permission needed. If you do use Availle's recordings, it would be nice to drop her a line or two though - she's always interested in hearing of such things! Below is one example of a derivative of Availle's recordings. 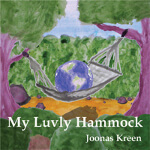 Joonas Kreen is a young musician from Estonia. He plays a number of instruments and offers meditative music with soft melodies and roots in lounge-jazz. In his piece Takeoff from his first album My Luvly Hammock, he included a short sequence of Availle's solo recording The Early History of the Airplane. I'm sorry but your browser does not seem to support embedded audio. If you want to listen to the sample, you can download it here.